The petals of columbines (Aquilegia spp. ), such as this A. canadensis, form spurs out the back of the blooms. 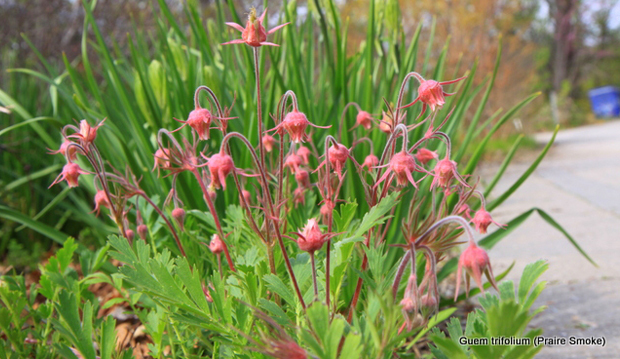 The genus name, Aquilegia, comes from latin aquila (eagle) because the flowers’ spurs resemble the talons of an eagle.